Jared Leto was scared, afraid the worst had happened: the death of his eyebrows. 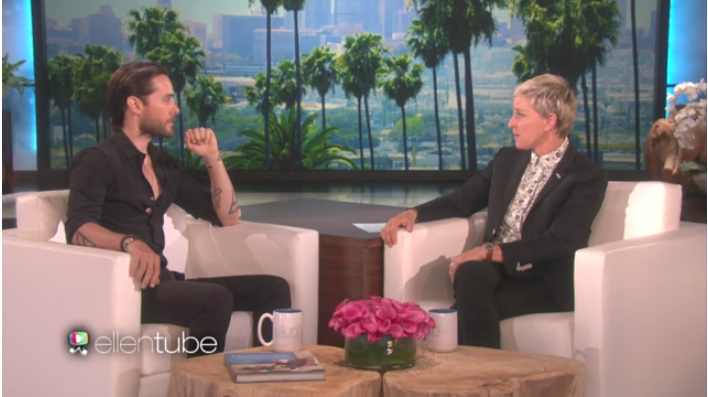 In an appearance on “The Ellen Show” this week promoting his role as The Joker, Leto told Ellen Degeneres that he had to wax his brows not once but twice in his life, for two different roles (in “Dallas Buyer’s Club” and “Suicide Squad”). “They started to grow back slower and slower, so I got a little scared,” said Leto.